Returning from your scouting patrol, the torches sputter in the pre-dawn fog. 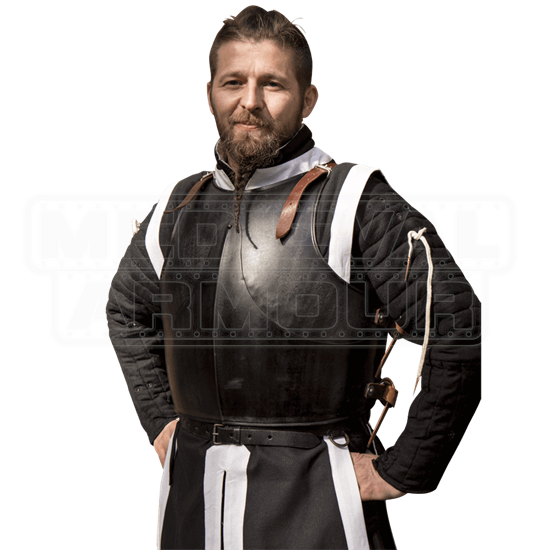 You check in with the officer on duty before cleaning your Epic Dark Milanese Armour, thankful for the blackened finish that did not reveal your position. 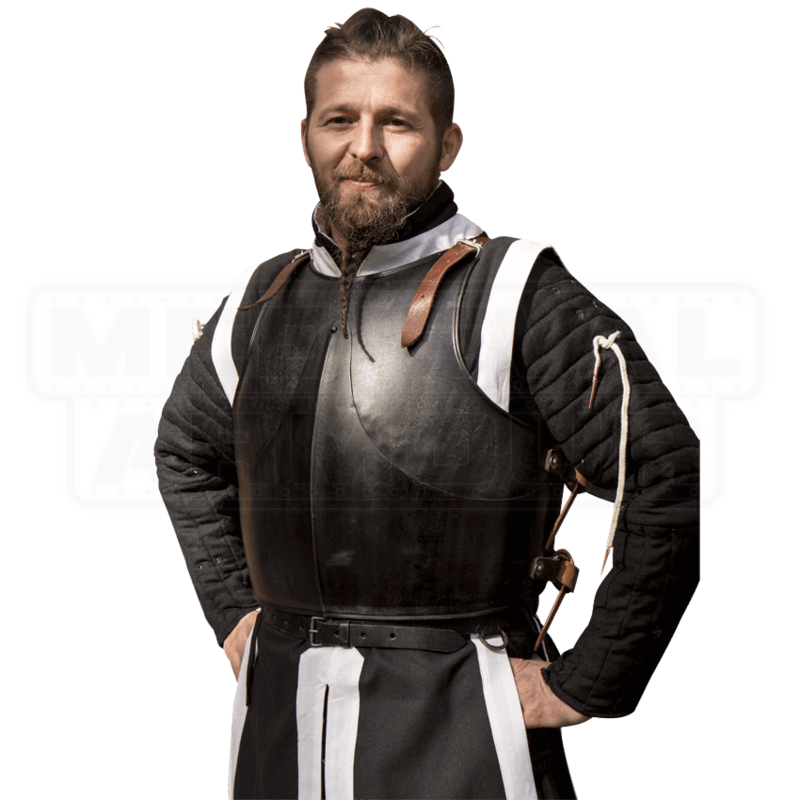 The detachable breastplate and backplate protect the torso from injury during LARP battle. Crafted from 18-gauge galvanized steel, the cuirass features a rust and scratch resistant dark metal coating. Beveled plating, rivets, and rolled edges aid in deflecting attacks. Adjustable buckle straps at the shoulders and waists customize the fit.